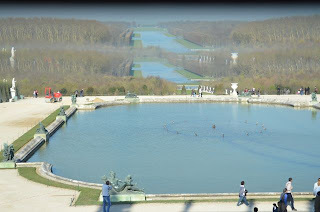 We visited Versailles while on our trip to Paris - it is a short train ride from the center of Paris. 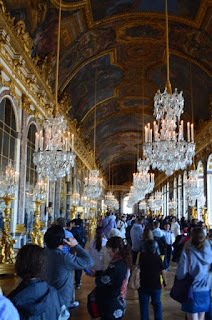 When we got there, we found long lines to get through security and as we toured the palace, the crowds were fairly intense. Here is what the Hall of Mirrors looked like. 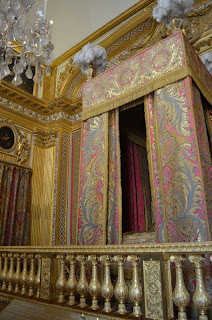 The rooms were magnificent - here is a photo of Napoleon's bed! 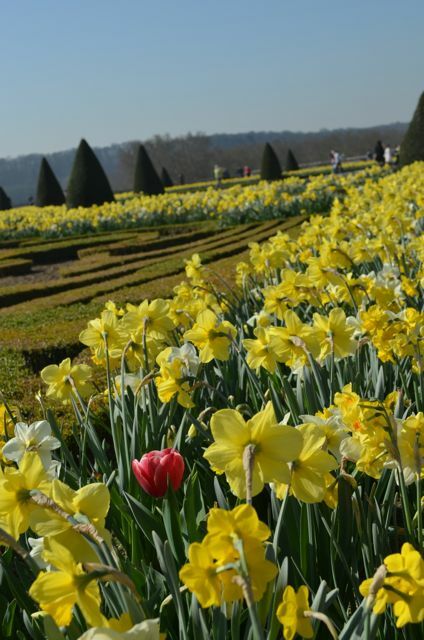 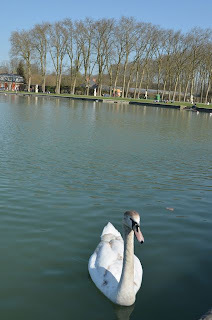 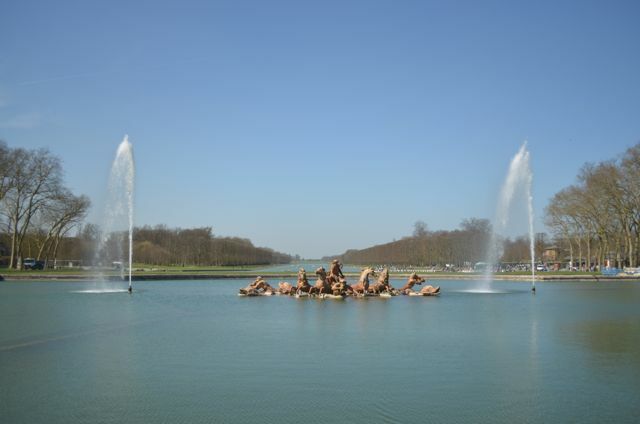 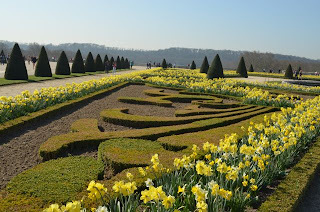 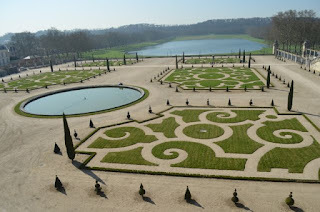 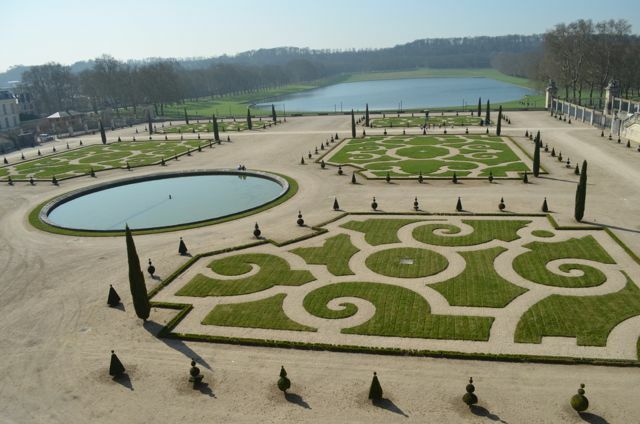 But the real magic of Versailles was outside. 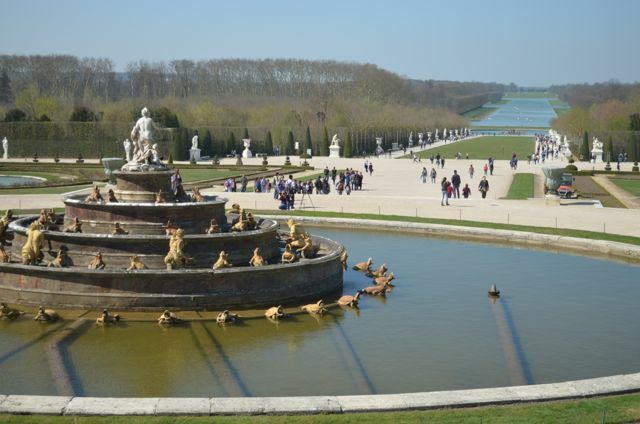 The crowds dissipate as there is so much acreage and you are able to begin to take in full grandeur and peace of the palace. 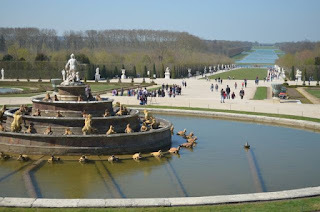 It seemed that many of the tour busloads simply viewed the palace proper and left. So sad. We had a beautiful day enjoying the gardens and fountains which were being prepared for the summer.